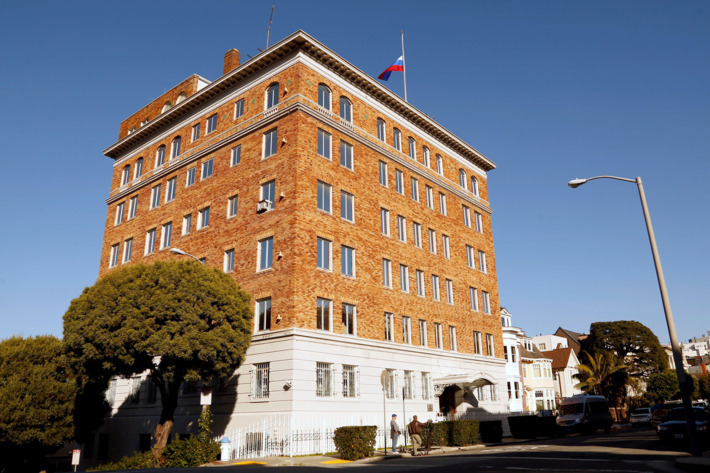 SAN FRANCISCO, United States of America – The Russian Ambassador in Washington, Anatoly Antonov, said that on Friday he inspected the Russian Consulate General in San Francisco and the residence of the Consul General from the outside. “I examined my building, because it’s a Russian building, it remains property of the Russian Federation,” Antonov said. “There was an officer there and he went up to my group and asked us what we were doing there,” he explained. On September 2, the U.S. authorities closed down the Russian Consulate General in San Francisco and the Trade Mission in Washington on September 2 for no reason.